UFC Fortaleza aí vou eu @BelizeanBruiser em meu nordeste que amo! Correia, 33, hasn’t competed on Brazilian soil since getting starched by Ronda Rousey in 34 seconds at UFC 190. Since then, “Pitbull” has gone 1-1 inside of the Octagon, including a recent split- decision win over Jessica Eye at UFC 203. 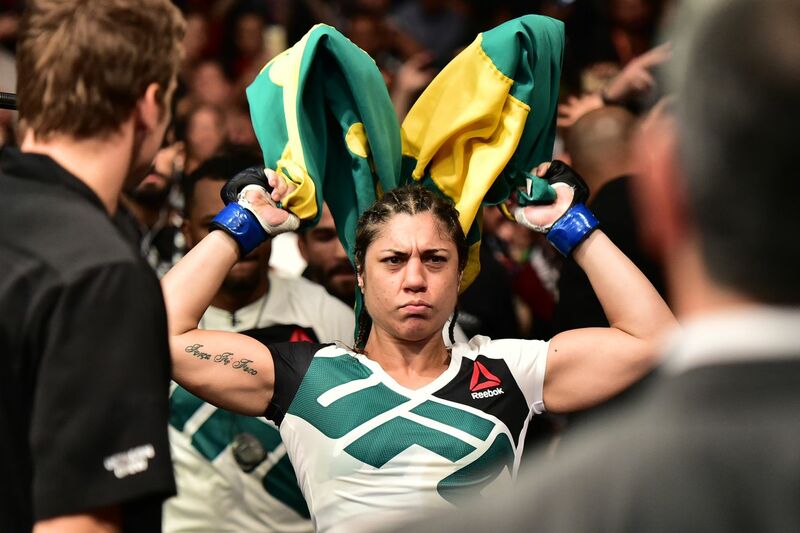 Despite her relatively one-dimensional skill set, Correia is one of the more recognizable names in the 135-pound division and a familiar face who could climb her way back towards contention in 2017. Reneau, 39, has produced a 3-2 record since joining the promotion back in 2015. She’s been one of the more active members of the women’s bantamweight faction and is the first fighter to submit Brazilian powerhouse Jessica Andrade. Reneau will enter her tilt with Correia riding a recent TKO victory over Milana Dudieva at UFC Fight Night 99. UFC Fight Night 106 will be headlined by a middleweight scrap between Brazilian legend Vitor Belfort and former welterweight title contender Kelvin Gastelum, who is coming off a punishing TKO victory over Tim Kennedy at UFC 206.